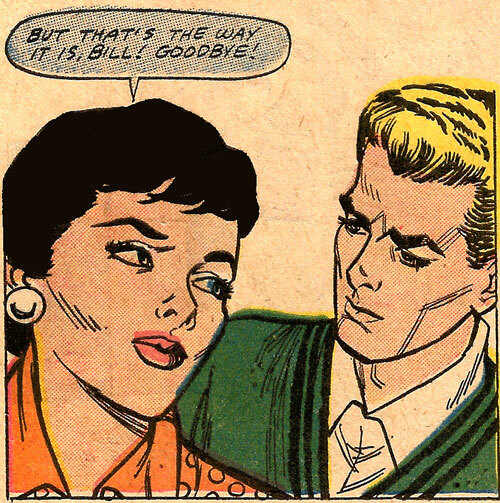 Original art by John Tartaglione in First Kiss #3, 1958. That’s the way it is. I’m leaving you for your best friend. Or possibly your father. Or maybe the homeless guy at the bus station. Here’s the new version of the art in today’s Last Kiss webcomic.